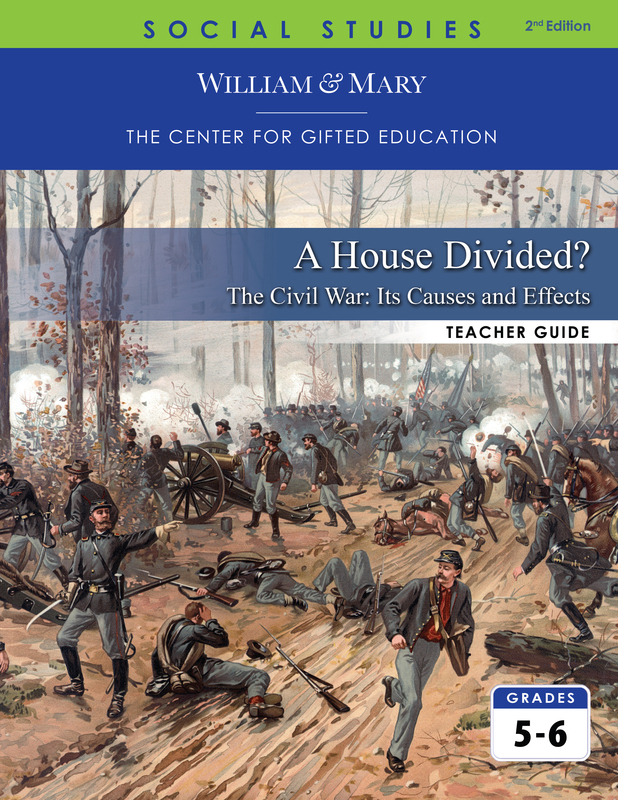 The concept of cause and effect serves as a central organizing theme of A House Divided?. This unit explores the events and perspectives leading to the American Civil War and the chronology and context of the war itself. Using primary source documents, students investigate the social, political, and economic influences that were significant in this period of history.